Having just unveiled two new Windows Phone 8 handsets, the Lumia 920 and Lumia 820, in September, there was a hint of optimism in the air for Nokia. Even CEO Stephen Elop seemed convinced Nokia's fortunes were about to change, and that soon Nokia would have a stake in the market share battle. It would be tough to turn around any faltering company, let alone one that posted record losses of $1.73 billion (€1.4 billion EU, £1.1 billion UK, $1.7 million AU) during the second quarter of 2012. That's more than four times what Nokia lost in the same time during fiscal 2011. It seems the tough times have continued as Credit Suisse downgraded Nokia to "underperforming," and even suggested Nokia may want to sell off some assets. If new reports are true, that's just what Nokia is planning to do. A report from Finnish paper Helsingin Sanomat indicates Nokia may want to sell off its headquarters in Epsoo. Nokia financial director Timo Ihamuotila spoke to the paper about the company's recent financial woes, even going so far as to divulge potential plans. "We are exploring different options for our property assets. This includes a possible sale of our headquarters," Ihamuotila said. Of course, just because Nokia sells off their HQ, that doesn't mean they have plans to actually vacate the premises. 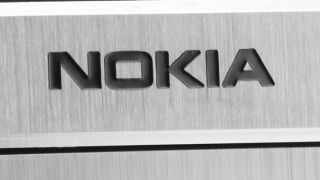 Ihamuotila added Nokia has no plans to leave the head office, giving some credence to the idea Nokia may continue renting the space from the potential buyer. The strategy is quite common in business when a failing company needs a quick influx of cash assets. Despite having several irons in the fire for the future, including planned Windows Phone 8 devices, and their ballyhooed Nokia Maps, Nokia may still have a tough time recouping losses. Microsoft has claimed the HTC Windows Phone 8X as the "flagship device," even though Nokia has already going all-in on Windows Phone 8. Nokia has continued to lose market share to both Android and iOS devices, both of which have shown continued growth over the same time period. With so little of the market up for grabs, it will certainly be a tough battle ahead for Nokia if the company hopes to become profitable, and please investors once again. TechRadar has reached out to Nokia, and will update this story if and when a request for comment is returned.